Our DFDS Seaways mini cruise to Amsterdam this Easter may have only been for two nights but we all really felt refreshed and relaxed. The smiles on our faces say it all. After an enjoyable evening crossing across the North Sea to Amsterdam where we enjoyed cocktails, kids club and steakhouses and spending the day at Amsterdam zoo we were able to enjoy a lovely family meal at the 7 Sea's restaurant onboard before returning to our cabin to sleep as we headed back home to Newcastle. We were sad to have to pack our bags in the morning and head up to the lighthouse cafe for a light breakfast before departing. We had been on a real adventure and didn't want it to end! We arrived at North Shields at approximately 10am. Departure was well organised through an airlink and the queue for passport control wasn't as bad as I expected it to be - maybe about 20 minutes. We paid our £24 parking at the machines in the terminal and headed back to the car. That was it! Our mini-break was over. We all had very much enjoyed our break. I loved the fact that I could drink cocktails, eat delicious steak and did not have anything to organise so I could properly relax. My husband loved the views of Tynemouth as we left, walking with Lemurs at Amsterdam zoo and the fact that his favourite beer was served on board. 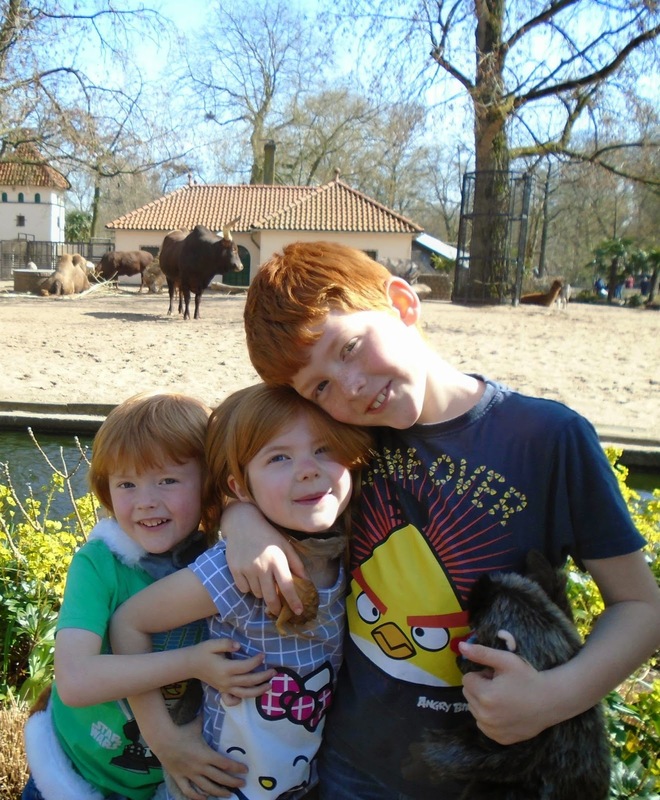 Harry (aged 8) enjoyed learning about various insects in the insectarium at Amsterdam Zoo and sleeping on the top bunk! 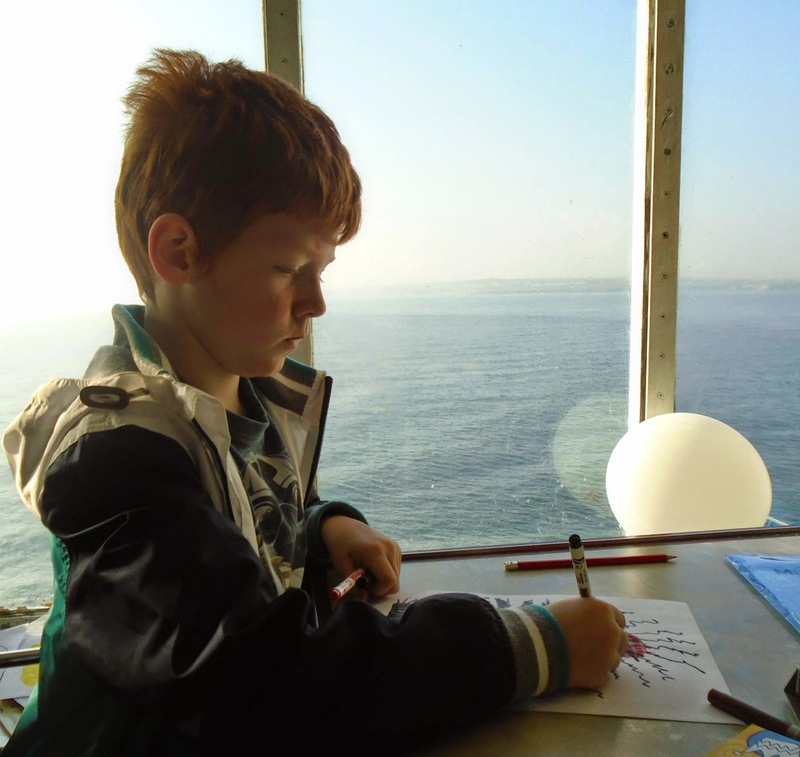 Heidi (aged 6) loved watching the giraffes, walking through the butterflies and the aquarium in the zoo and Jack (aged 4) loved the chance to see a lion in real life, shopping for presents in the onboard gift shop and helping himself to unlimited ice-cream in the 7 Sea's restaurant. You can find out more about booking an Amsterdam Zoo cruise here. So what's next? Well this May, the DFDS Seaways Newcastle-Amsterdam route is 20 years old and on Sunday 24th May there is going to be a special day sailing onboard King Seaways to celebrate. Tickets are priced at just £20pp (£2 supplement for sparkling wine) for adults and £10pp for children and are available to purchase here. This is a real bargain and a fantastic way to start half term with the family. We have booked our tickets and can't wait to join in with the celebrations. Thank you DFDS Seaways for the wonderful memories. We can't wait for our next trip. Can we ask a sneaky favour? If you've enjoyed our DFDS Seaways posts, please could you click on the badge below and vote for NORTH EAST FAMILY FUN in the TRAVEL category. We're looking forward to our trip to Amsterdam at the end of the month & these blogs have been very helpful. Thanks! Oh fab - the cabin looks like lots of fun for the children. We have four children (two babies) do they have them big enough? I hadn't thought about sailing over to Amsterdam, this could be one to do with my son as I don't want to travel by air with him yet. Sounds like a great adventure.